Passiflora Passion flower – Soil needs. Just like us Passiflora or passion flower plants need a balanced diet. The essentials for ourselves are carbohydrates, proteins, oils & fats, vitamins, minerals, water & air. In contrast plants only need minerals, water & air. Plant needs are simpler as the leaves can absorb light energy from the sun using carbon dioxide & water to produce sugars from which all their other organic molecules can then be synthesized. All their other needs are met by uptake of minerals & water by the roots from the soil. Different Passionflowers have varying soil mix needs. Soil is an infinitely variable mix of broken down & weathered rock & mineral fragments mixed with air & water. It also contains nematodes, fungi, mites, algae, lichen, bacteria, dead organic animal & plant material & earthworms. Water contamination can lead to an accumulation of toxic metals in the soil. ”The world has become a significantly more crowded place. Scientists report today that soil teems with around 100 times more species than they had previously thought. The work at the Los Alamos national laboratory in New Mexico means that a thimbleful of soil typically contains at least one million bacterial species, rather than just 10,000. The implications were described as “staggering” by Dr Bill Sloan, of the University of Glasgow, and Prof Tom Curtis, of the University of Newcastle, in the journal Science. They argued that new mathematical methods were needed to understand the vast diversity of life on Earth. The scientists estimate that in a garden with a ton of soil there are about 10,000 trillion single-celled organisms called prokaryotes. That compares with a mere 100 billion stars in our galaxy, the Milky Way. “This makes exploring the biodiversity of soil more like astronomy, or Star Trek,” Dr Sloan said. P. pallida © 2002 Neville Kemp, Indo-Pacific Conservation Alliance, www.indopacific.org. Firstly of course Passiflora grow in greatly varying conditions in the wild. Some are very fussy about their soils, others like the very invasive Passiflora in Guam above will grow in just about anything. 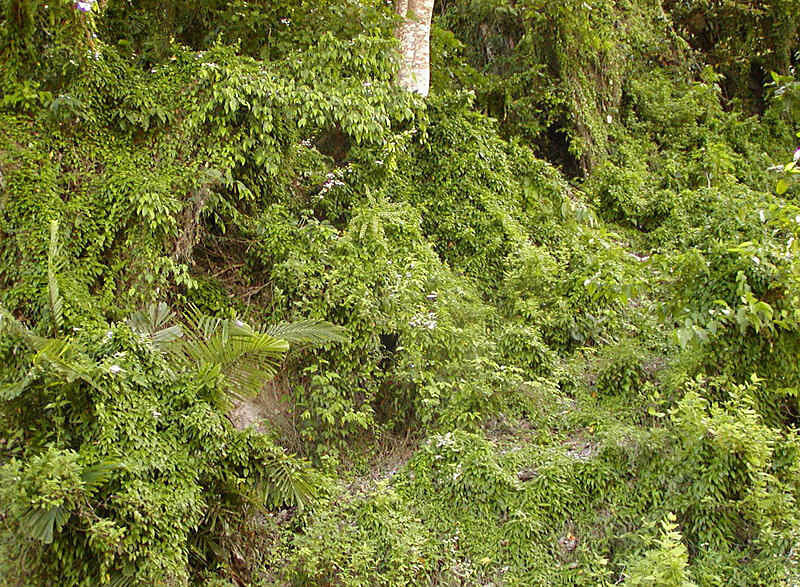 Many that grow in the rainforests are in red or yellow clay lateritic soils high in aluminum oxide and iron oxide. These soils are often acidic, pH 5.5 or less compared with usually more alkaline temperate zones, and low in nutrients, but the plants get their nutrients from the organic layer of rotting humus on the surface, usually about 15-20 cm deep & made up of dead wood, leaves dung etc. Hence the tendency of many Passiflora to have a fine web of shallow roots which are easily damaged if a transplant is attempted or if you turn over the soil near them. For that reason once a plant is established I put compost on the surface rather than dig it in. The more common Passiflora such as P. caerulea and its hybrids will grow in just about anything, whether in the ground or in pots. Some Passiflora species and hybrids though are more difficult. If putting them into the ground you can improve the drainage by digging in some sand or gravel and dig in as much compost as possible. If you grow your Passiflora in pots however you have more control over the roots’ environment. Note that the more acidic peat based composts if poorly drained and too wet can become more acidic and the plants roots will rot especially over winter. Ericaceous fertilizers can be OK depending on your soil but too acidic soil generally is not. Learn about plant food here. Mix a half loam based mix with a quarter peat and a quarter of sharp sand to improve drainage. Note, whatever soil type you use the most important factor is for the soil to be very free draining, always add at least a quarter sharp sand, coarse grit or horticultural pumice to avoid the roots rotting. This also applies when planting in the ground as it will help them establish much more quickly. I suggest digging down a spade’s depth & width at least. 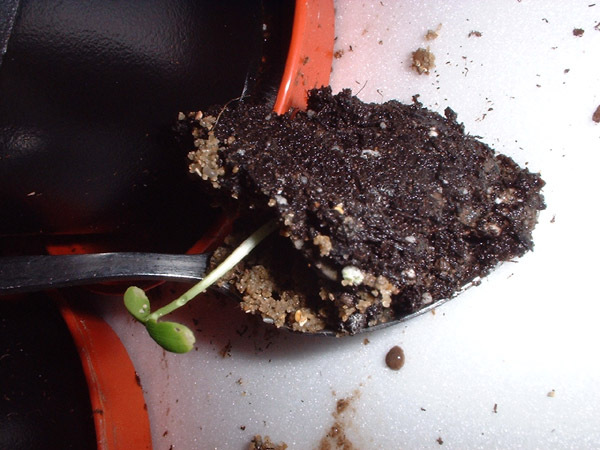 Very small plants will do well just in a peat mix which is easier for the young roots to penetrate. I have used about a third loam based compost, a third peat and a third sharp sand – which got P. tarminiana from seed to flowering in 7 months. For Tacsonia and difficult plants to establish such as P. membranacea and P. hahnii Strybing Arboretum use for young plants a mix of a third organic compost, a third fine sand & small lava chips, a third perlite. Rare Passiflora trees, seem to do best in pure peat soil in a deep palm pot where they will send down an extensive root system relative to the size of the plant. Elizabeth Peters recommends a potting mix of a third each of peat, pumice, and bark for small seedlings. No doubt this will also suit other similar species. Found by Dr. John MacDougal this grows over Mayan ruins on limestone cliffs and Dr. John Vanderplank recommends a free draining alkaline compost of 50% limestone chippings with a little peat.